In MVC framework there are some little helpers existing I´ve already written about in this blogpost - but in fact the functionality changed a little bit so here is an update for you. After pressing the button normally the View has to be reloaded via AJAX but there is no request send by AJAX. Why? In the standard - masterpage jQuery is already linked but the AJAX library is still missing. 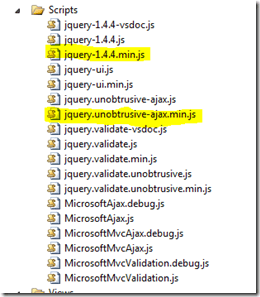 In this case MVC3 offers the MS AJAX libraries but we don´t need them anymore. 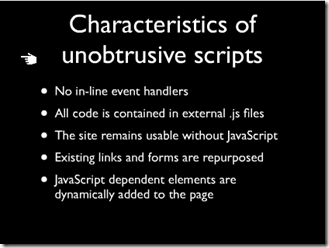 For AJAX we need the jQuery.unobtrusive-ajax.js (or the min.js) file! Take a look into the HTML and you will find a little surprise! If this looks different by everyone else: Important are also the following adjustments in the web.config (these are standard on every new project).